Personalize anyone of our three tin sizes to show off your corporate logo. 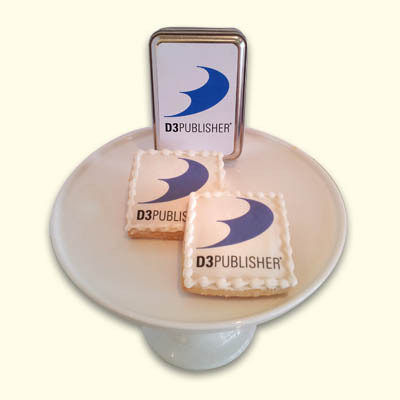 Printed in full color, your logo tin will stand out by itself, but we make it sweeter by including matching sugar cookies! Also available to ship nationwide! Send your image to info@wonderlandbakery.com in PDF, EPS or JPEG format.